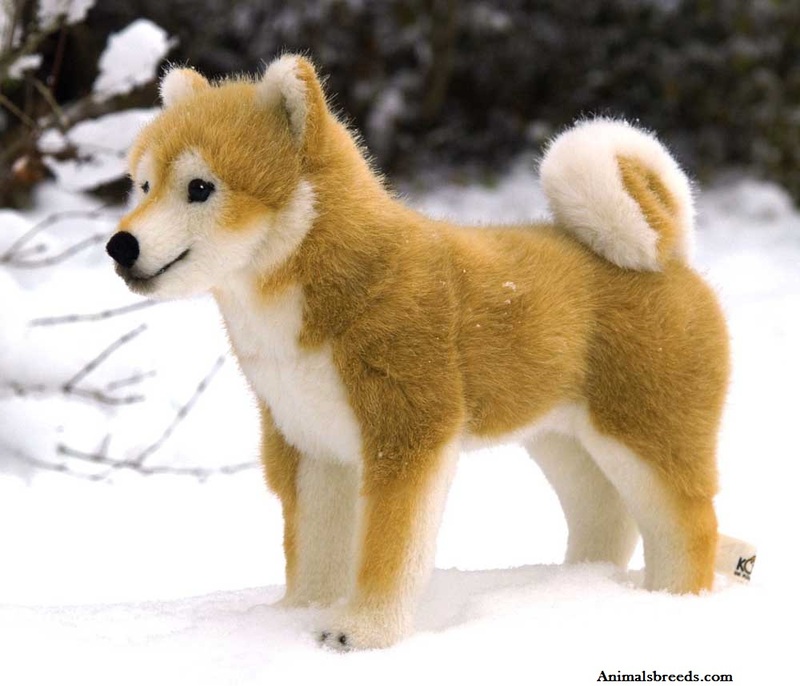 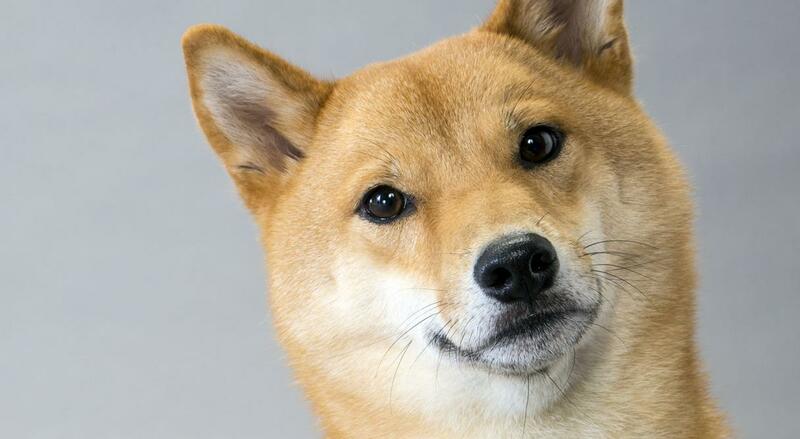 The Shiba is double coated, with the outer coat being stiff and straight and the undercoat soft and thick. 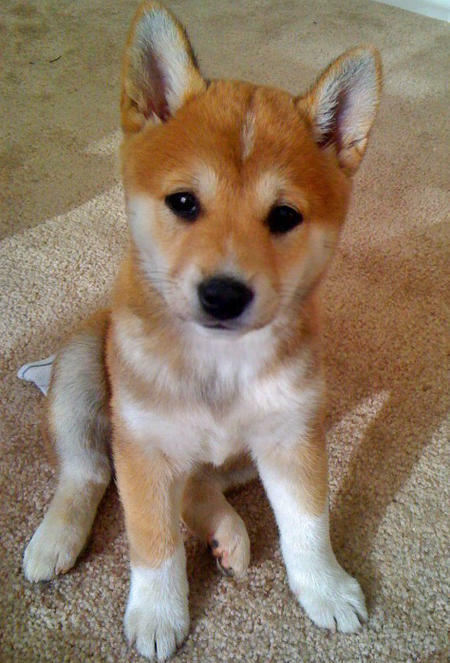 Fur is short and even on the fox-like face, ears, and legs. 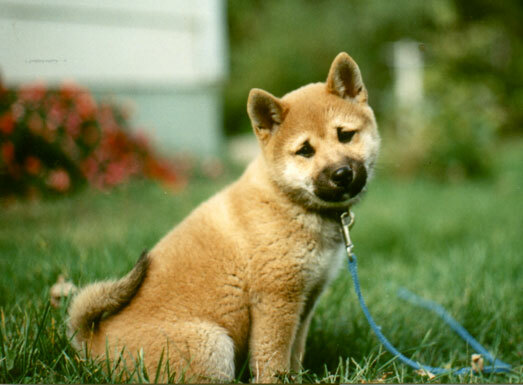 Guard hairs stand off the body and are about 4 to 5 cm (1 1⁄2 to 2 in) long at the withers. 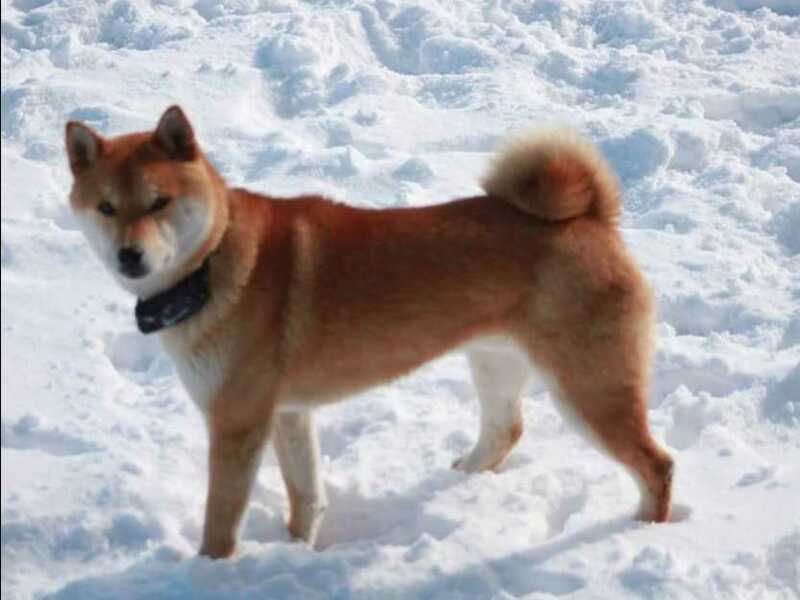 The purpose of the guard hairs is to protect their underlying skin and to repel rain or snow. 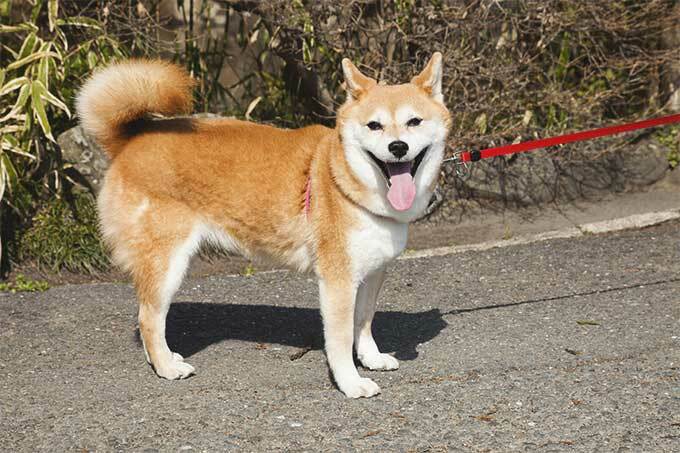 Tail hair is slightly longer and stands open in a brush. 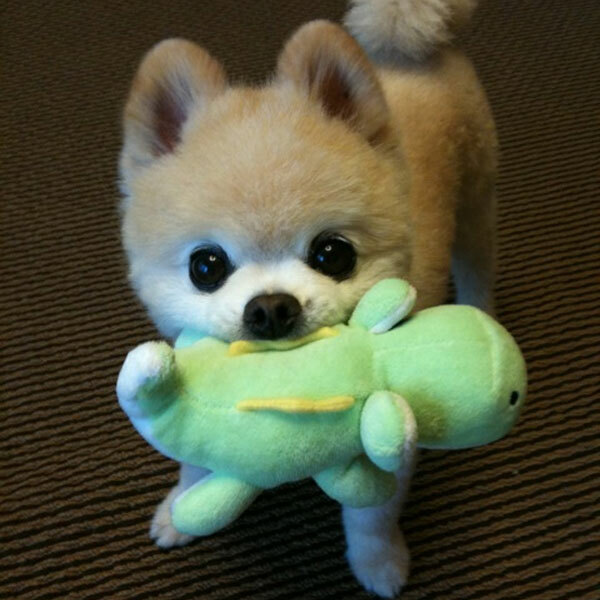 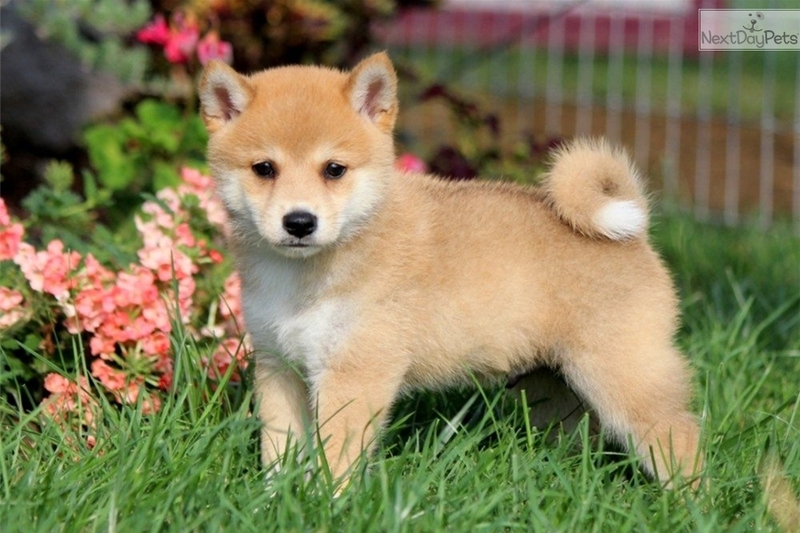 Their tails are a defining characteristic and makes them stand apart from other dog breeds. 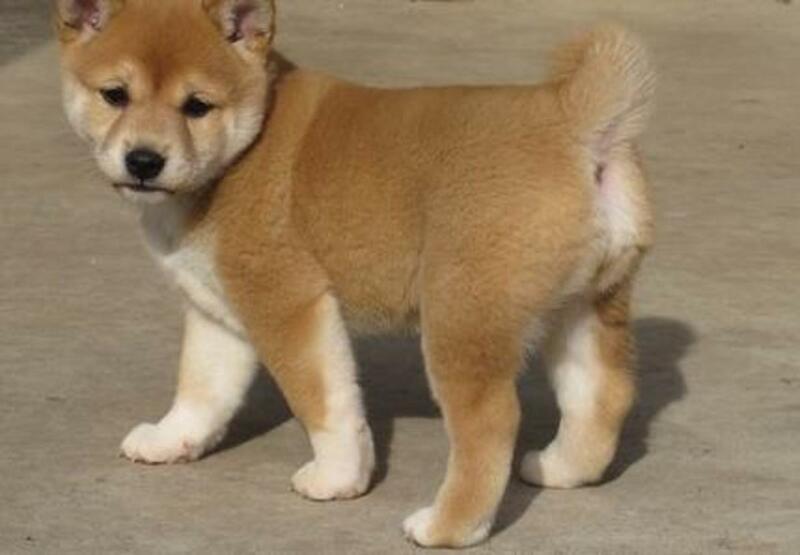 Their tails help to protect them from the harsh winter weather. 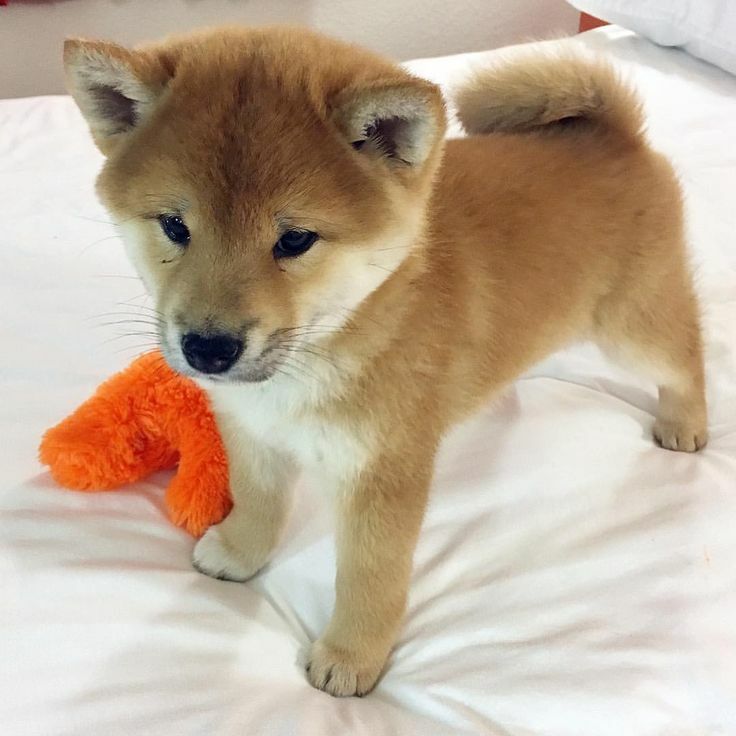 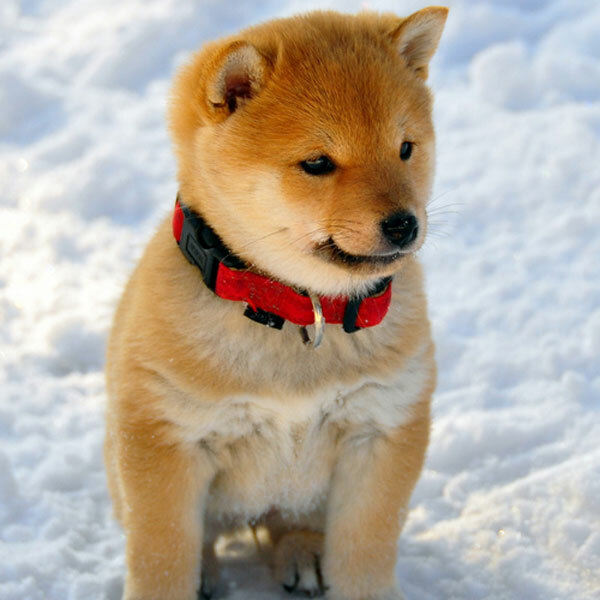 When they sleep, Shiba Inus curl up and use their tails to shield their face and nose in order to protect their sensitive areas from the cold. 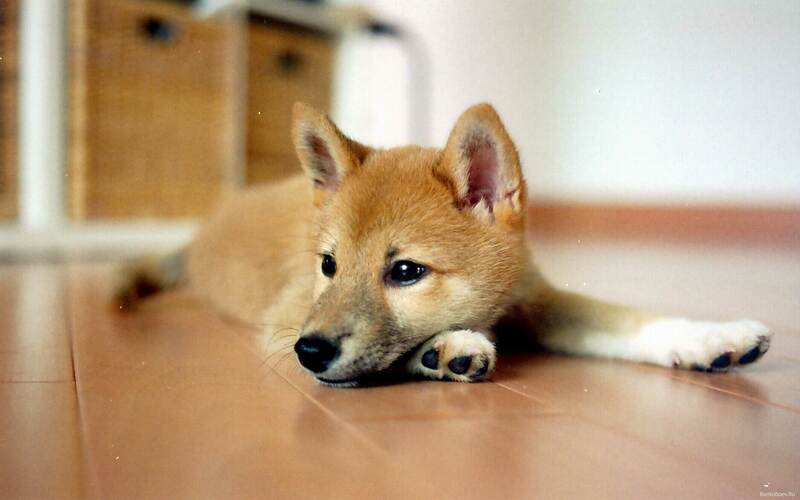 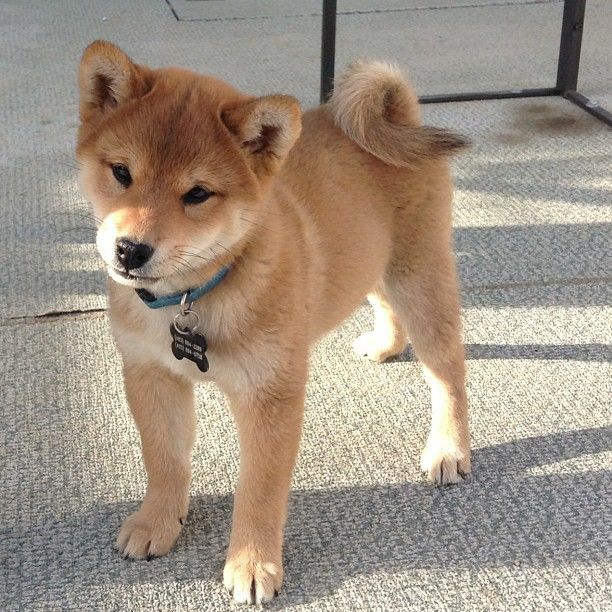 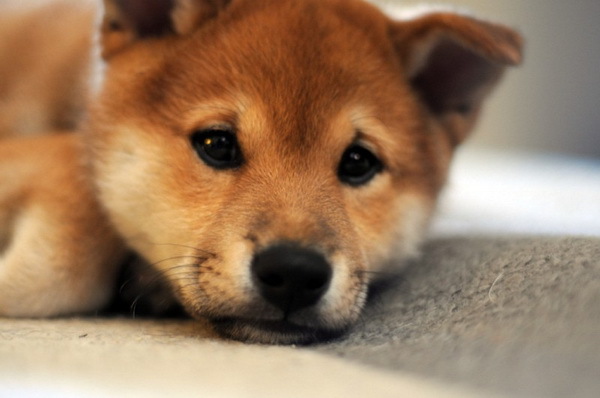 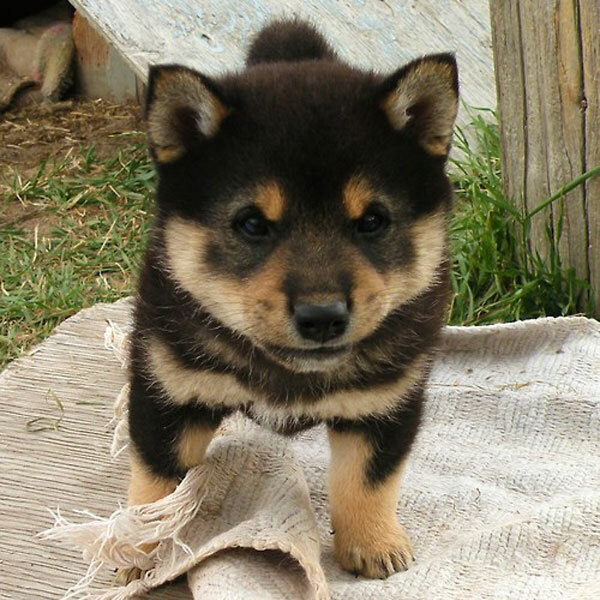 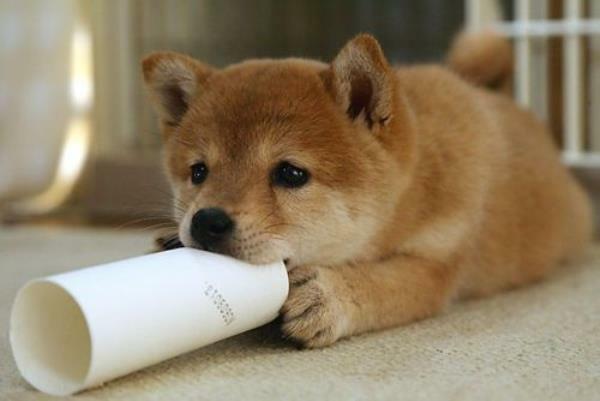 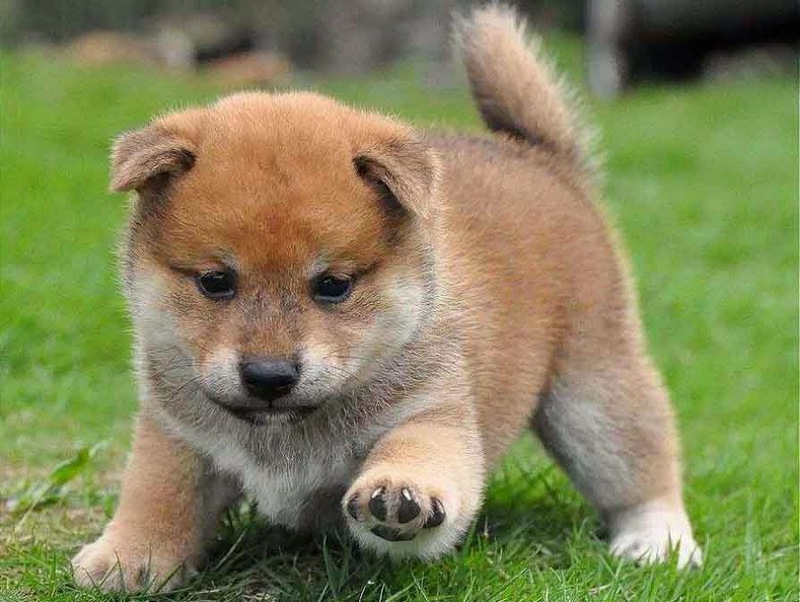 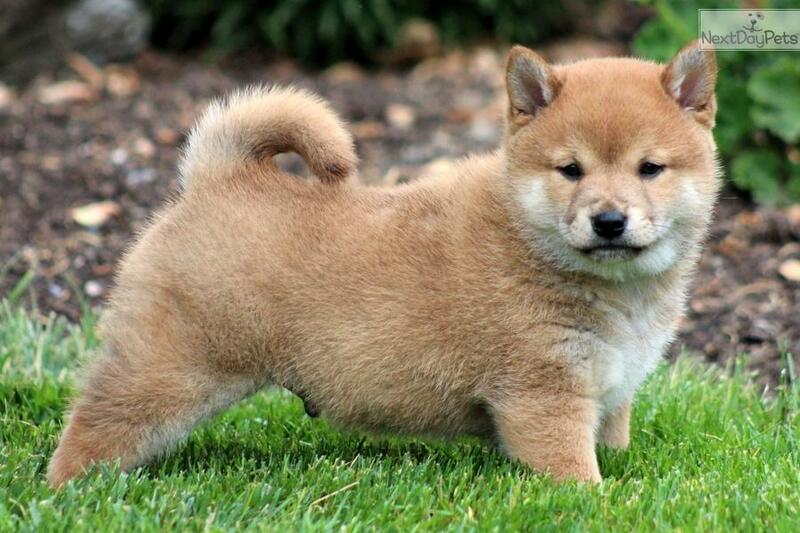 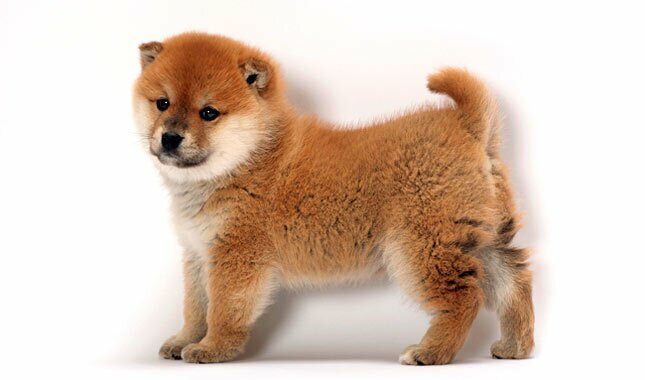 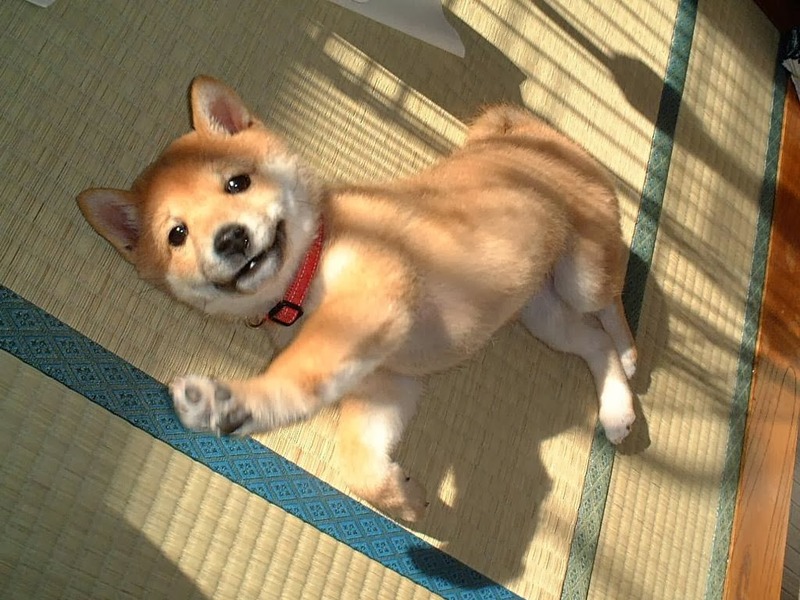 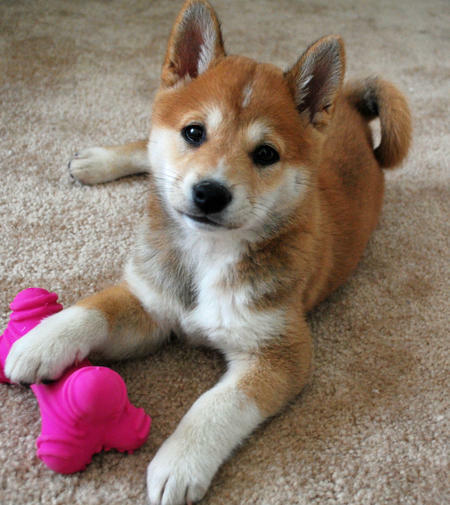 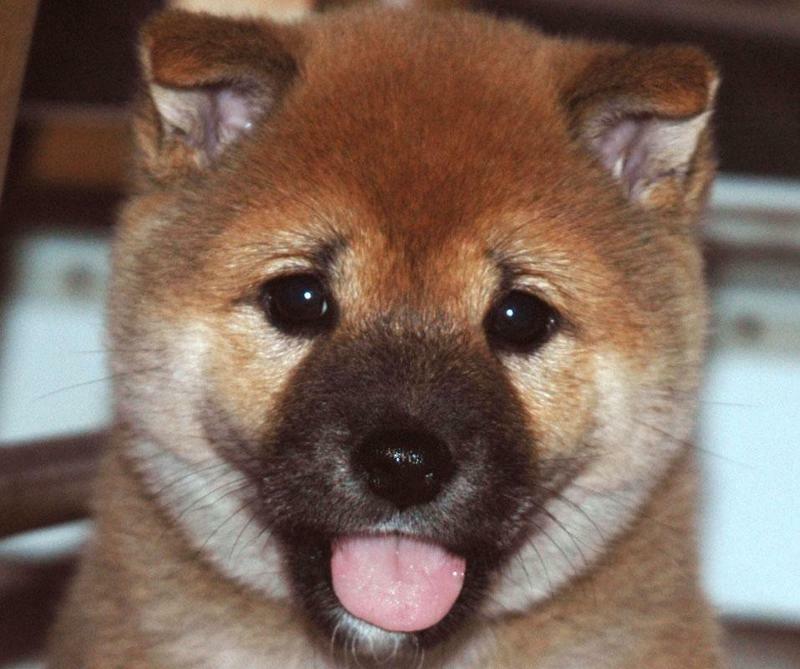 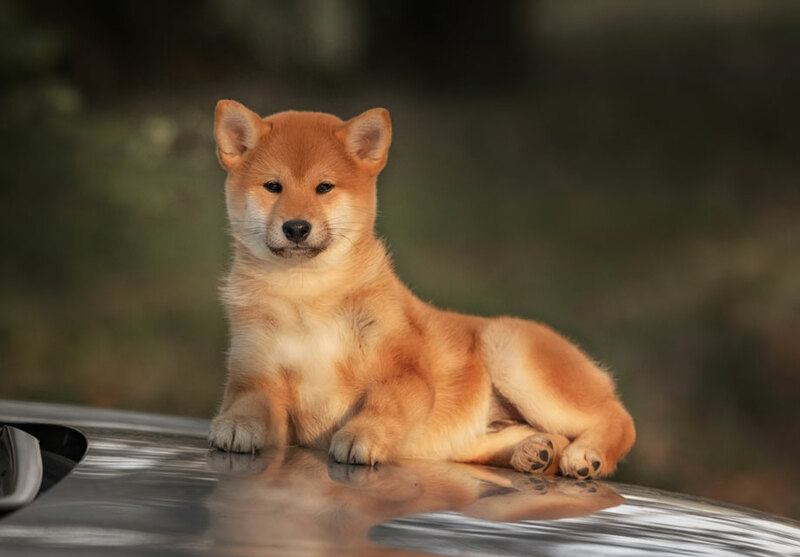 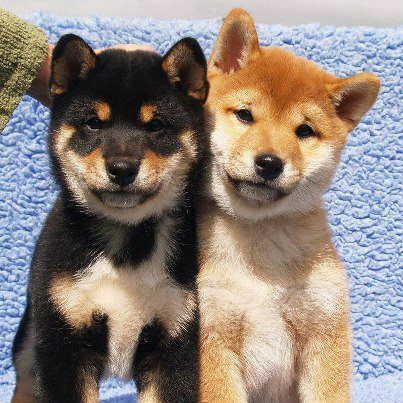 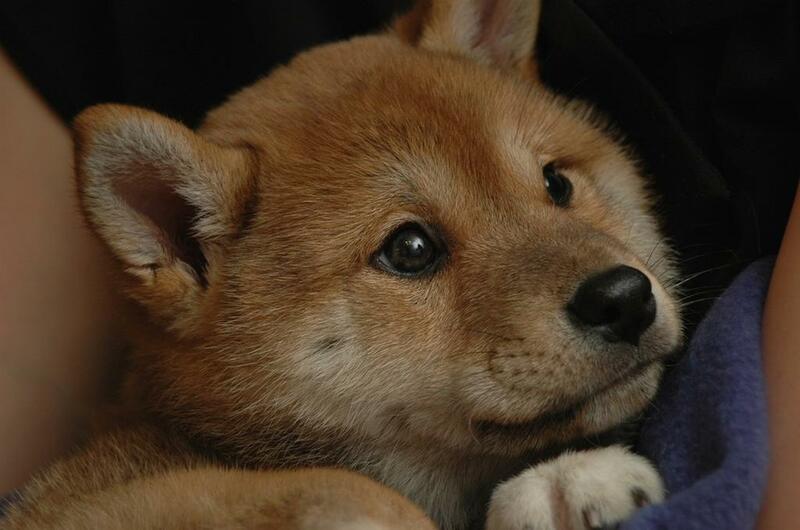 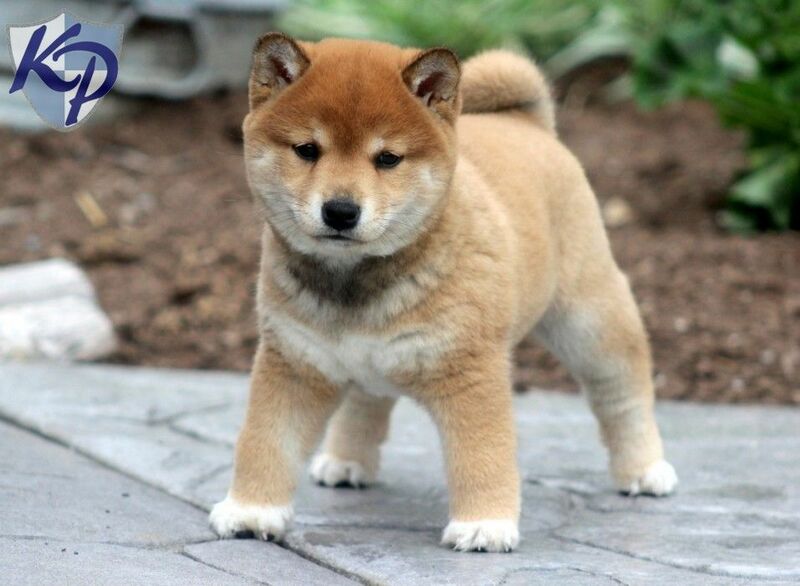 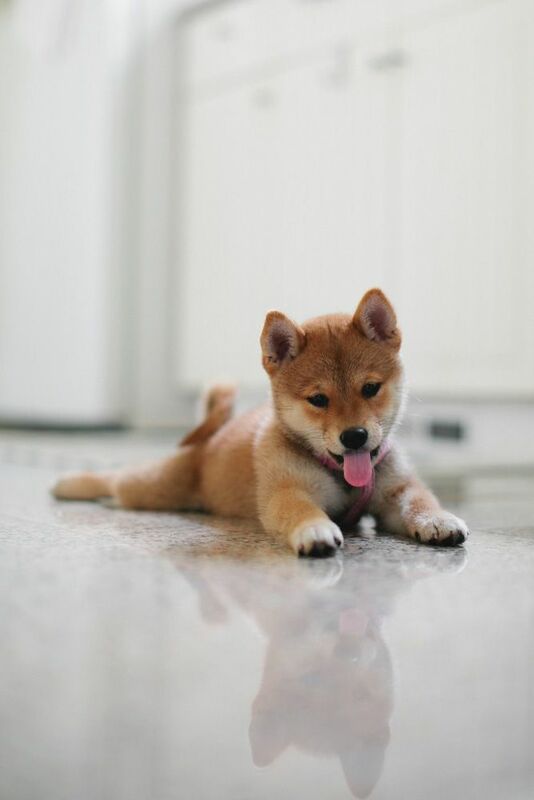 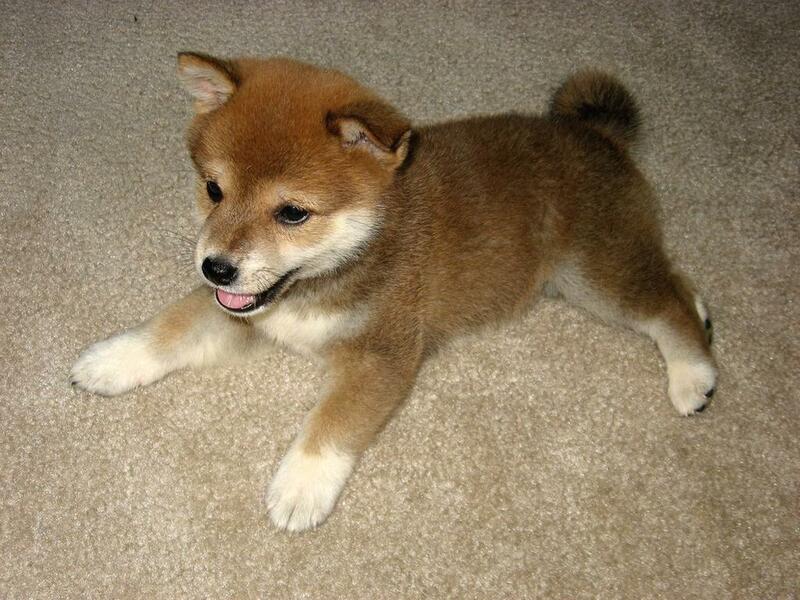 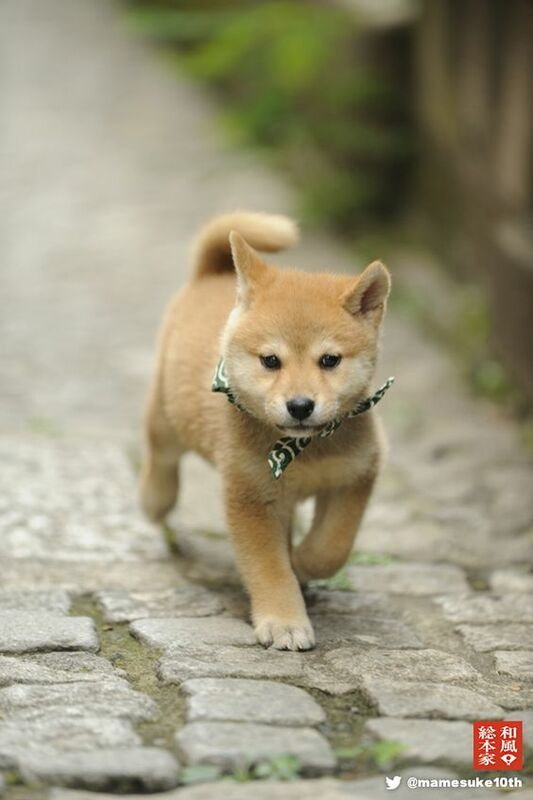 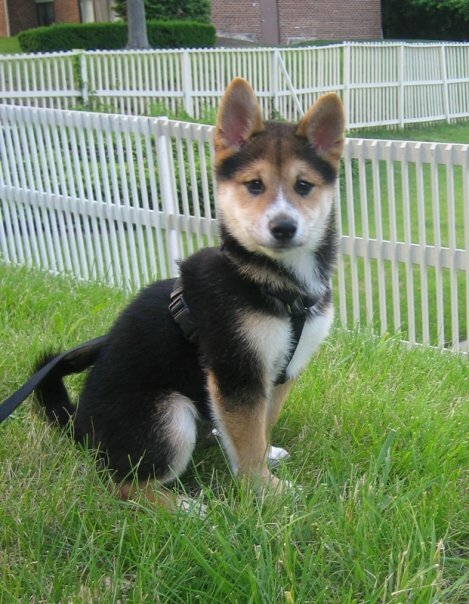 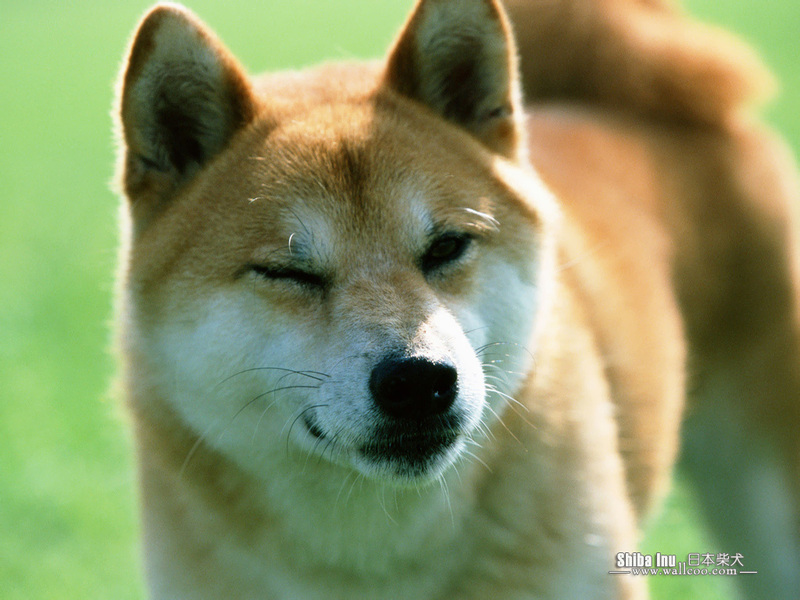 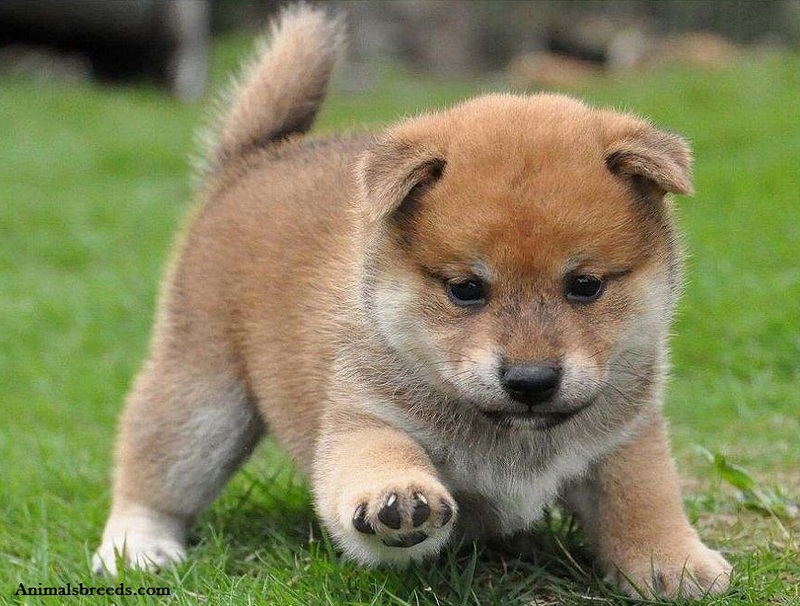 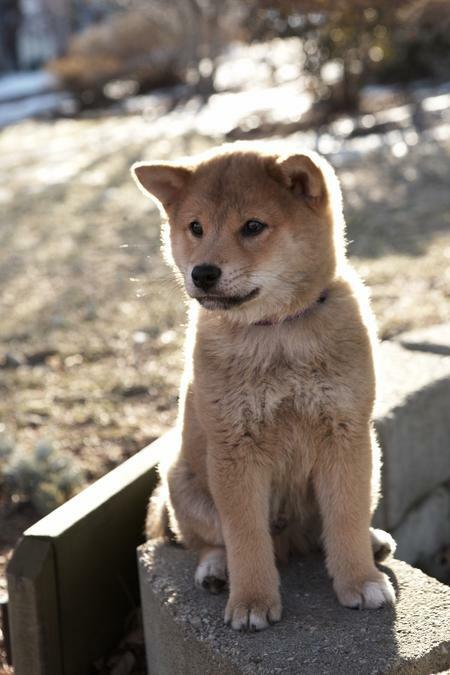 Shibas may be red, black and tan, or sesame (red with black-tipped hairs), with a cream, buff, or grey undercoat. 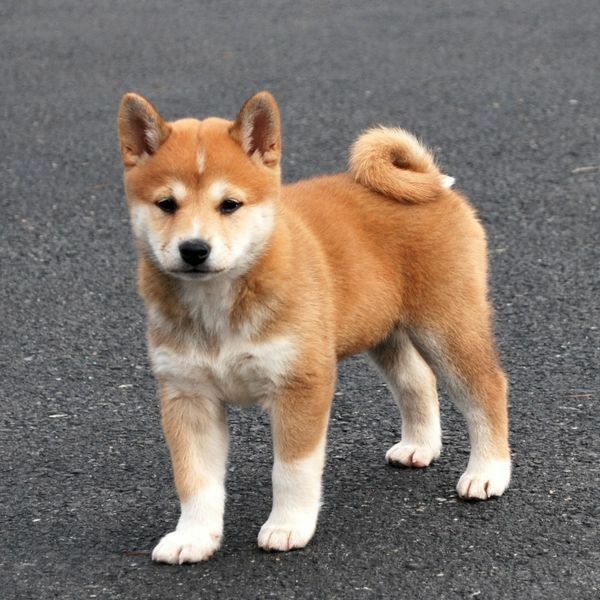 They may also be white (cream), though this color is considered a "major fault" by the American Kennel Club and should never be intentionally bred in a show dog, as the required markings known as "urajiro" (裏白) are not visible; "Urajiro" literally translates to "underside white". 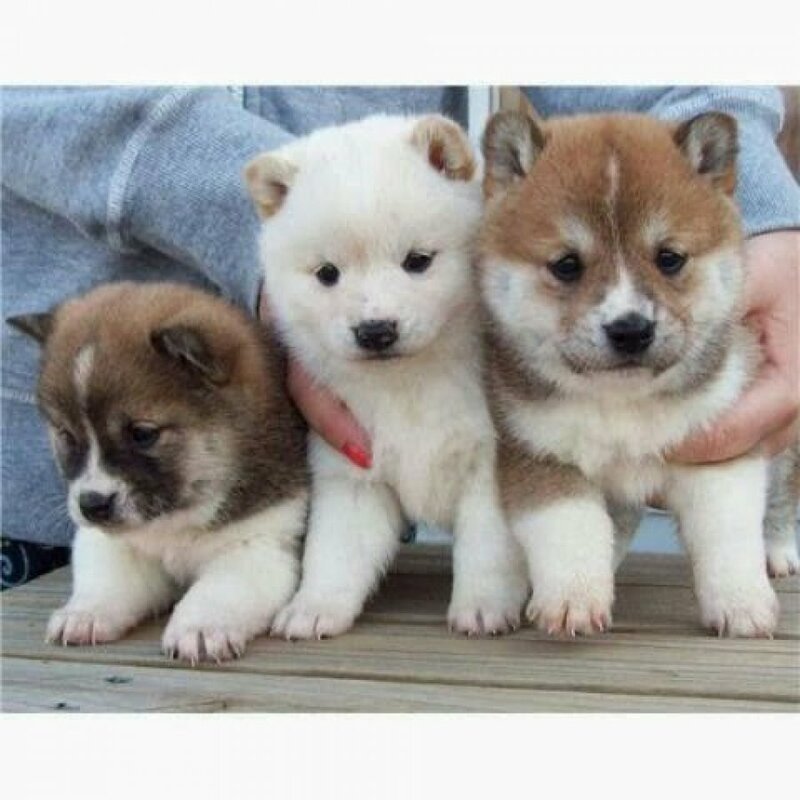 Conversely, a white (cream) coat is perfectly acceptable according to the British Kennel Club breed standard.